Dthis load is now Free Trolls birthday invitation, based on the cartoon movie. You can personalize it by writing with a ballpoint pen or marker, the day, time and place where the birthday will be based on the movie Trolls that premiered in theaters in Spain this past 28 October 2016. 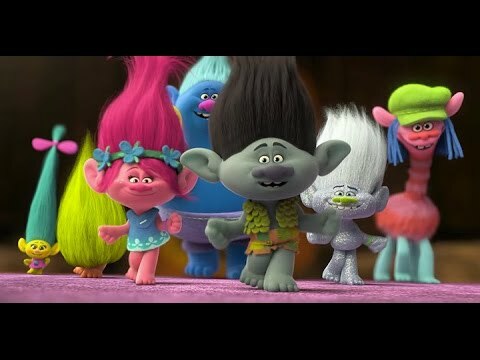 Trolls are of many types, but the best known in doll mode to play are all based on the design of the troll doll made by a woodcutter carving it in wood in 1959 !. Yes, they have been around for a long time, it's not something new for the 80 or 90 when they saw some dolls to play. The woodcutter is called "Thomas Dam" and ended up transforming the idea into a "Trolls of luck" business. UPDATE 27 December 2016: Given the success that this birthday invitation has had, we have designed a Premium Kit for the birthday party decoration Trolls complete and free! If you want to get it done click here. If you have not seen the trailer for this Dreamworks movie (the creators of Shrek), I'll put it here. The criticism so far says that even if it is not going to become a great success as Frozen, that will make spending a fun time, both children and adults, as there are many jokes that only adults will understand, while the large amount of color, movement and history will make children have a good time. In the original version of the film, famous actors and singers such as Anna Kendrick (nominated for the Oscars), Justin Timberlake ('N Sync), Russell Brand, Zooey Deschanel (New Girl actress), Gwen Stefani, James Corden put her voice , Kunal Nayyar and Icona Pop.